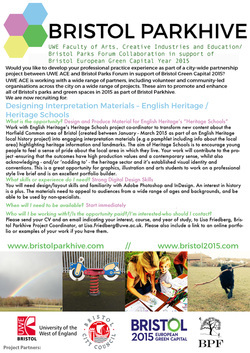 Work with English Heritage’s Heritage Schools project coordinator to transform new content about the Horfield Common area of Bristol (created between January - March 2015 as part of an English Heritage local history project) into engaging interpretation materials (e.g a pamphlet including info about the local area) highlighting heritage information and landmarks. The aim of Heritage Schools is to encourage young people to feel a sense of pride about the local area in which they live. 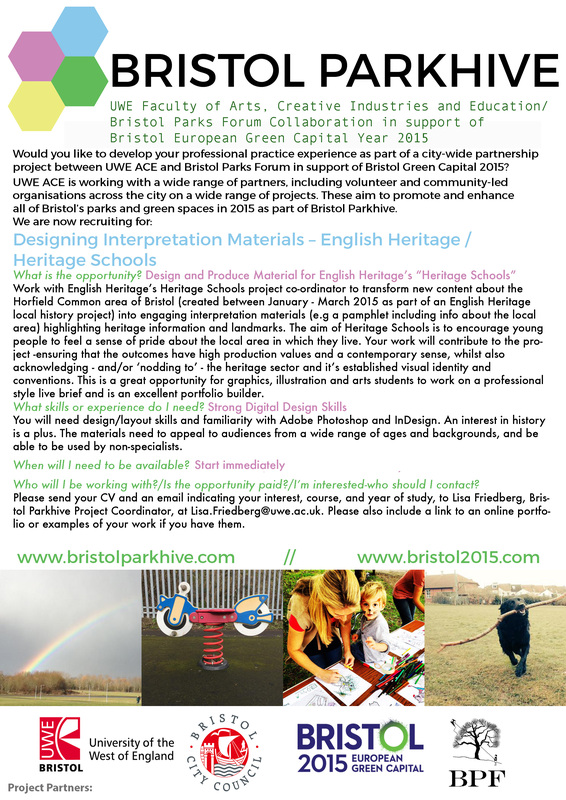 Your work will contribute to the project - ensuring that the outcomes have high production values and a contemporary sense, whilst also acknowledging - and/or ‘nodding to’ - the heritage sector and its established communications/visual identity and conventions. Skills & Attributes required: You will need design/layout skills and familiarity with Adobe Photoshop and InDesign. An interest in history is a plus. The materials need to appeal to audiences from a wide range of ages, and backgrounds and be able to be used by non-specialists. Suited for: This is great opportunity for graphics, illustration and arts students to work on a professional style live brief and is an excellent portfolio builder.